St. Mark Community Garden was established in the spring of 2010. Brent Chapman, church member, had the Sunday School kids plant starts of cabbage and peas in their classes. Several weeks later they were planted in the middle of a very grassy field. 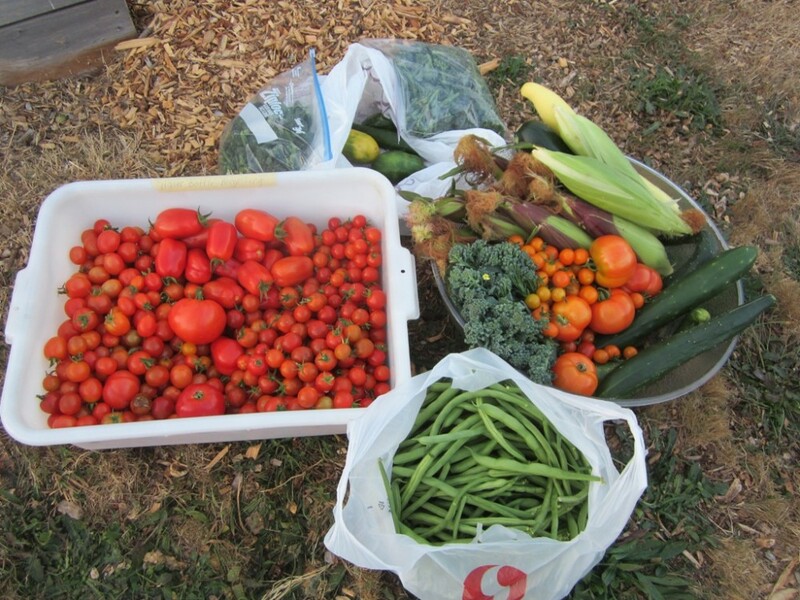 That was the humble start which resulted in about 300 pounds of produce donated to the Thurston County Food Bank. 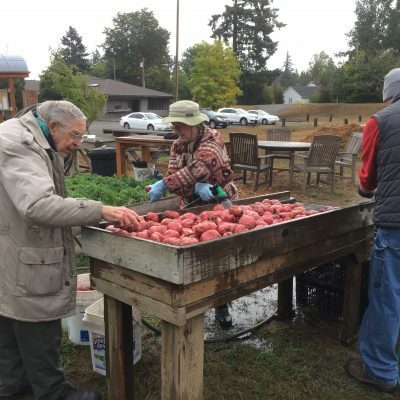 In 2011 Olympia Kiwanis shared their expertise of low-pressure irrigation and seed potatoes and the garden started to take shape and produce more. A year later we added carrots as our second large crop, increasing our poundage again. This past summer, 2017, over 11,000 pounds of produce was donated to the Thurston County Food Bank – produce of all varieties! A small band of very committed gardeners has developed this former patch of weeds and grass into a lovely one acre, fertile, organic garden. The St. Mark Garden has also sponsored field trips for about 600 children from Mountain View Elementary School each spring. This school is located directly across the street from the church. The classes have come to learn about gardening, identify and taste vegetables, help plant crops, and enjoy healthy garden related snacks. Michaela Winkley, of the Thurston County Food Bank, has been integral in setting this program up for success. We originally started with 17 raised beds available for adoption. The first few years, church members were the greatest users. Thanks to Lacey Park and Recreation’s advertising in subsequent years, many community members started adopting beds. We grew to our current complement of 46 beds in 2013. All beds are drip irrigated and the water is paid for by St. Mark Lutheran Church. 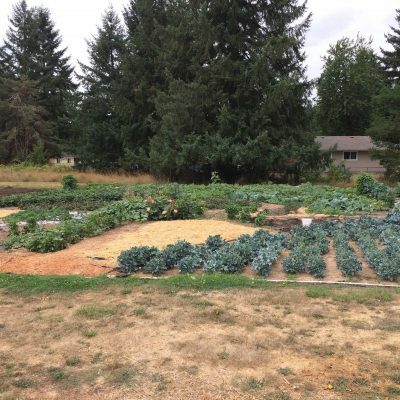 If you would like to apply for a raised bed to grow your own vegetables you also must be willing to work in the one acre garden grown exclusively for the Thurston County Food Bank. This includes attending several work parties throughout the growing season to plant, weed, and harvest. Starting the Spring of 2018 there is a $25 refundable deposit for the adoption of the bed. The money will be returned at the conclusion of the growing season if all aspects of the Garden Guidelines are met. 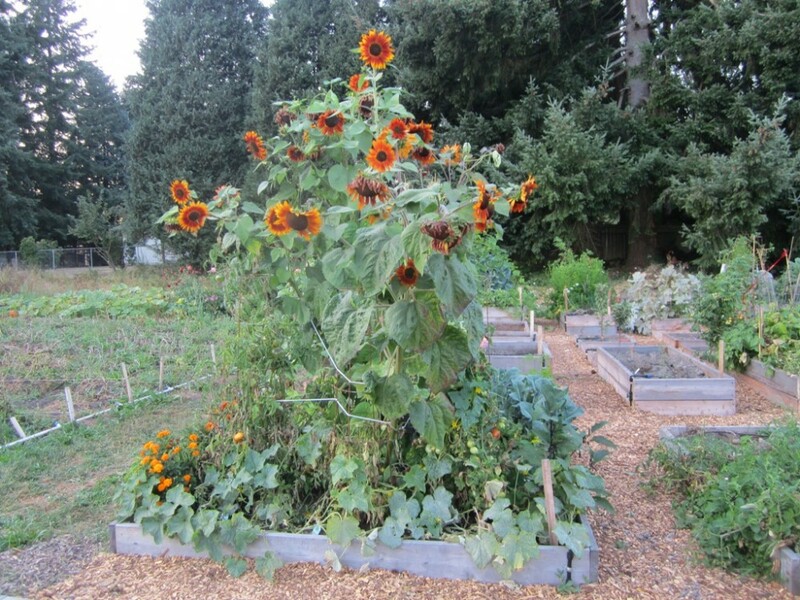 Please contact Gail Frare, Garden Coordinator at gatofrare@comcast.net or at 360-870-6267 for more information. 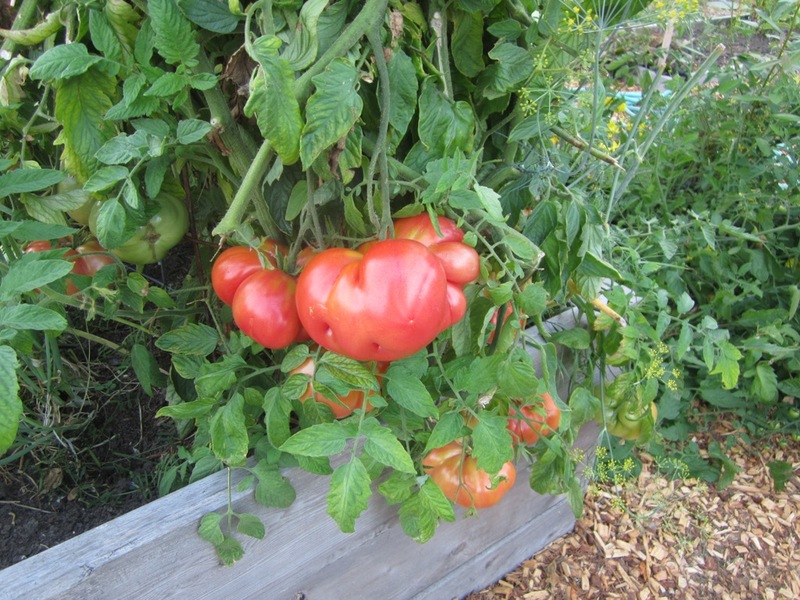 St. Mark Community Garden grows 8858 pounds of produce for the Food Bank!